Simone grew up in Someren in the South of the Netherlands. Coming from a family filled with music, it was not a coincident that Simone started playing the accordeon at the age of seven. That music was her passion became clear immediately. 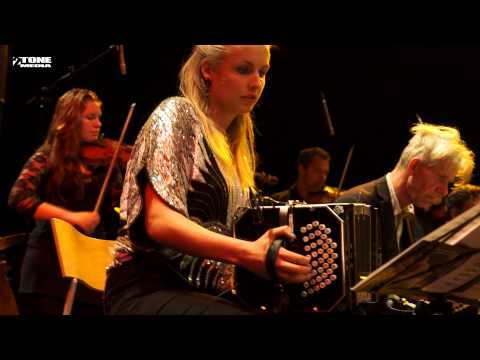 At the age of 17 she started her accordion studies with Ludo Mariën at the Conservatory in Tilburg. During her accordion studies she followed several master classes and focussed not only on the classical repertoire but also on Russian, Balkan and mostly South-American music. Trough discovering all these musical styles she got captured by tango music. 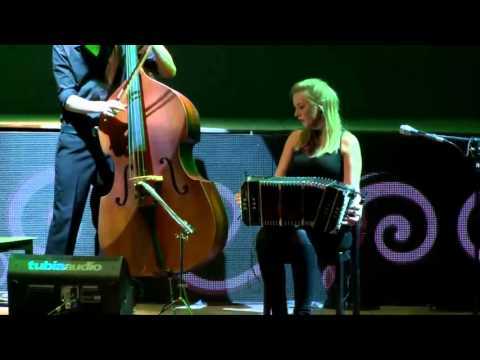 After an inspiring journey to Argentina Simone decided to start playing the bandoneon as well. Being captivated by the sound, the passion and the instruments of tango music she decided it was time for a drastic change. She left her studies in Tilburg, traded her accordion for a bandoneon and went to the Conservatory of Rotterdam to start her adventure in the world of tango. During her conservatory time in Rotterdam she followed bandoneon lessons with Victor Hugo Villena and Leo Vervelde. In 2012 she travelled to Argentina again to follow lessons with the ‘maestros’ of tango. She had the pleasure to follow lessons with i.a. Roberto Álvarez and Julián Peralta. Also she had the possibility to visit many concerts of her musical heroes. In Buenos Aires, city of the tango, she learned a lot and came back with tons of inspiration. At the moment, Simone is a member of several succesfull bands like: LocosLindos, Roffa Tango Trio, duo Berretín, duo BandoVerde and more. With Roffa Tango Trio they were recently a guest at the live national television program ‘Podium Witteman’. In the meantime, playing the bandoneon means traveling with music, which has brought her to countries like Argentina, Brazil, Sweden, Denmark, Germany, Poland and Spain where she was invited to perform. In May 2014 she was awarded as a first price winner of the International Bandoneon Solo Competition in Klingenthal, Germany. The jury, consisting of 5 international judges graded Simone with 23,31 out of 25 points which made her world champion ’14 in her category. In June 2014 she graduated at the Conservatory of Rotterdam at the Argentine tango department with a nine. 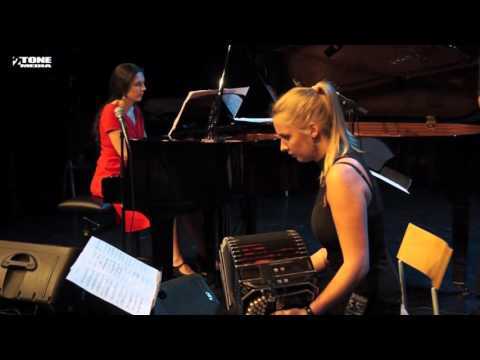 Simone continues her musical journey, with her bandoneon as passionate companion. To explore and discover different modern styles within the tango genre. Or to find new ways to provide the sound and style of her bandoneon into other musical genres. According to Simone the musical possibilities are endless. Since June 2014 Simone has been playing with her custom-made microphones from SD Systems. These microphones provide me with the perfect amplified sound during my concerts. For more information visit the SDS website or get in contact with Serge Schrier, owner of SD Systems. 2015 brought her back to Buenos Aires where she had lessons with the famous maestro Nestor Marconi, Santiago Segret and others. Also Simone joined the Argentina based quintet “Finisterre Tango” with whom she performed throughout Buenos Aires as well as a tour to Ushuaia. 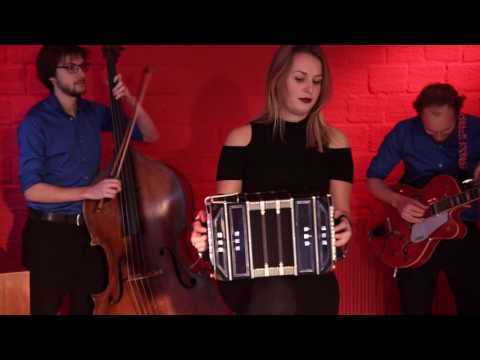 Simone has been a professional successful musicians for many years and decided in september 2017 to start a master studies at the Codarts conservatory of Rotterdam to combine her love for jazz with the tango music on bandoneon. She will always continue to develop herself and continue her musical mission. My great passion is giving concerts, I love to perform all around the world. Music brings you everywhere. For all my different projects check the projects header. I teach bandoneon and accordeon lessons. Also I give tango workshops for your institution. I can help you finding a good affordable instrument as well. If you can’t find the sheet music of a specific (tango) song you want to play, I can transcribe it for you. I will make a clear music sheet for you so that you can play your favorite song. trio / quartet / quintet / sextet etc. I started composing for my quintet and I make arrangements for different settings. If you need a tango arrangement for a specific setting I can do it for you.